ALSATUX, free your IT ! 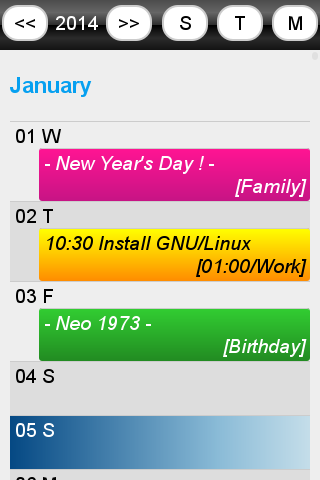 Cactus is an offline calendar with repeat events, which stores its datas directly to the SD card using XML format. I wrote this webapp for privacy, but not only... 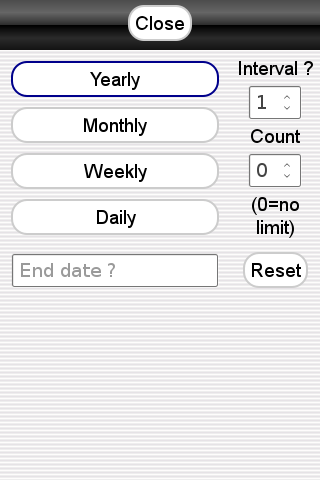 Existing calendars tools are on my point of view too heavy and too complicated. 99% of my appointments are daily ones, so why should i loose my time to fix an ending date, whereas using a duration is a lot faster and easier ITRL ? 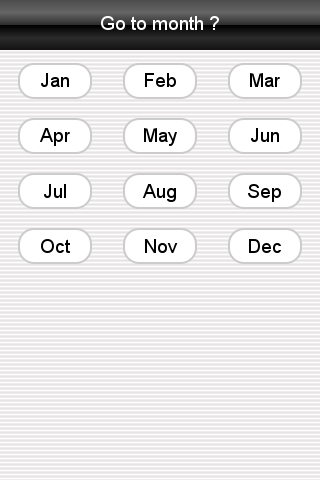 By providing a single year view, with a few shortcuts to jump to a given month or to the current date, Cactus offers a more easy and intuitive GUI. Repeat events are recorded following the ICAL FREQ RRULE. Other RFC tags are not yet supported. Because Cactus is an offline tool, you have to backup your files outside of the phone manually. Take a look on the AutoBackupSD page. One last important thing to remember: YOU HAVE TO ALWAYS UNPLUG THE USB WIRE WHEN USING CACTUS. If you don't, events won't be recorded to the SD card and you could loose some datas ! 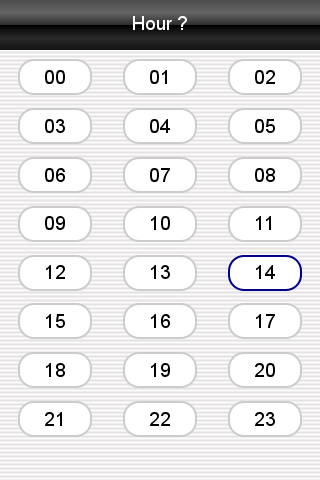 Datas are stored using localSession feature of HTML5 standard, which means you have to use a recent browser. To make a backup, just push the export button and save the XML file to your disk. To restore a backup, just drag&drop your XML file from a file browser to the import button. To reset your calendar, search for the parameter of your browser which controls localSession storage, erase the keys "cactus" and "cactus_bak", then restart Cactus. Please report any bug to contact@alsatux.com. Add text filters to sort your events. Record keywords into cactus XML file so you can easily retrieve and apply an old research. When a filter is applied, events which don't match are just temporarly hidden from the list. Just delete your keywords to retrieve the full events list. Fix a bug in the category editor. Add icons on menus (thx for materialdesignicons.com). 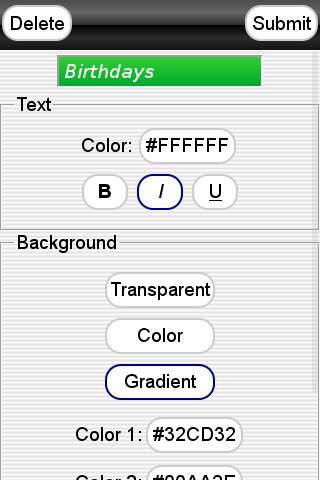 Fix scrolling moves when choosing an angle in categories. 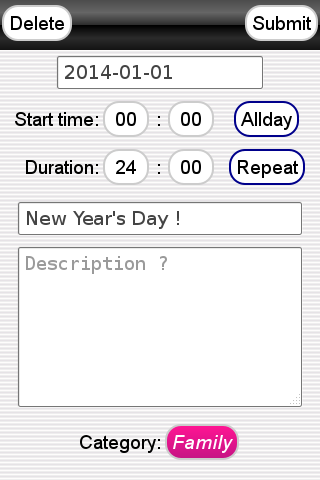 Fix a bug when selecting the current date. Use now absolute divs instead of fixed, allowing a better code integration in others web projects. Add data storage for desktops, using localSession on recent browsers. Add import/export buttons for desktops, to backup/restore the datas from/to your phone/hard drive. Add copy/paste of the last event. Very useful for independent repeat events. Add a spinner for long operations. Design improvements when creating or managing categories. 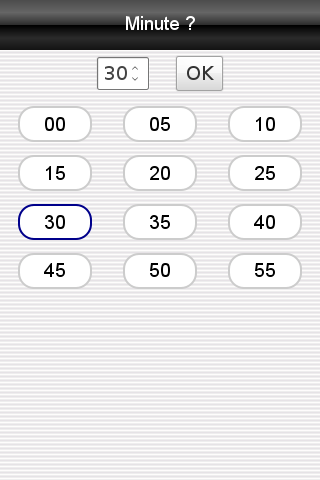 Add compatibility with 2.x versions. Startup improvements when searching for the last backup. Add category management with color gradients. Add french translation. If you want to translate Cactus in your own language, just download the lang.js file of the project, then translate it and send it back to me for the next release.